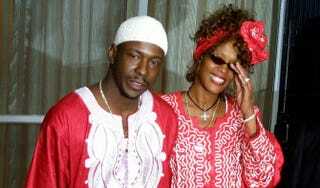 Whitney Houston's story—more specifically, her troubled relationship with singer-songwriter Bobby Brown—is due to be chronicled in a Lifetime movie scheduled for release in 2015. Award-winning actress Angela Bassett will make her directing debut with Whitney Houston, telling the story of the couple from "the time they first met at the very height of their celebrity, to their courtship and tumultuous marriage," according to a press release. "I have such regard for both Whitney's and Bobby's amazing talents and accomplishments; and I feel a responsibility in the telling of their story," Bassett said in the release. "Their humanity and bond fascinates us all. I'm beyond excited to have this opportunity to go behind the camera and into their world." There was no mention of the expected cast, or who would grab the coveted role of the leading lady.